Manufacturer Part Number : 3592766. Interchange Part Number : 3592767, 3800799, 3592766, 3800797, 3590104. Turbo Model: HX35W. Flange: Standard T3. （except 2001 Dodge Ram 2500 Base Extended Cab Pickup 2-Door 5.9L）. Manufacturer Part Number : 3592766. Interchange Part Number : 3592767, 3800799, 3592766, 3800797, 3590104. Turbo Model: HX35W. （except 2001 Dodge Ram 2500 Base Extended Cab Pickup 2-Door 5.9L）. Built for durability and strength. 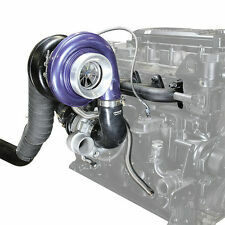 ATS Aurora 3000/5000 Twin Turbo Kit, Dodge 2003-07. The Aurora Plus 7500 kit was designed to do exactly that. This allows the truck to keep its lightning fast spool up, incorporated exhaust brake, and excellent throttle response. The Aurora Plus kit will do everything you need, without even breaking a sweat. Replaces oe number : 52014733 AC. Replaces partslink number : CH3012102. "CSF Intercooler -- - - ". Series : CSF Intercooler. Condition : New. Therefore all implied warranties that may apply to your part are limited to the duration of this written warranty. CXRacing Intake Elbow Pipe For. This is a New Intake Elbow Pipe Developed By CXRacing From Ground Up. All Race Cars Below Use CXRACING Products. 03-07 Dodge Ram Cummins 5.9L Diesel. Connects to Factory Intake Heater Flange. 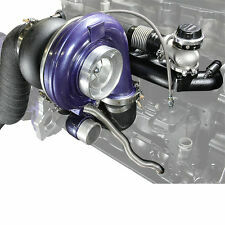 This turbocharger is compatible with varies vehicles for 99~02 Dodge Ram 2500/3500 5.9L truck 6BT diesel. 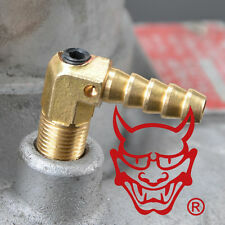 Fits 2004.5-2007 Dodge Cummins 5.9L. Failing Solenoid Can Cause DTC P0243. Diesel Care review process includes OEM standards, standardized testing, and product verification. Whether it’s for your Ford, Dodge or Chevy, we have top quality parts for your application. (Emission Engines ONLY). Emission Engines ONLY). It is for repairing or rebuilding the complete turbo. Turbo Part Number Turbo OE Number ♦ Bank Wire: Bank wire is also accepted. We want you to be 100% happy with the products you got. "AFE Intercooler --. AFE POWER BLADERUNNER INTERCOOLERS. Quantity sold : Kit. Condition : New. Designed specifically for diesels ". Therefore all implied warranties that may apply to your part are limited to the duration of this written warranty. Manufacturer Part Number : 3592766. Interchange Part Number : 3592767, 3800799, 3592766, 3800797, 3590104. Turbo Model: HX35W. （except 2001 Dodge Ram 2500 Base Extended Cab Pickup 2-Door 5.9L）. Kentucky Warehouse : 2125 Gateway Blvd, Hebron, KY 41048. T3 Titanium Turbo Heat Shield Blanket Cover 2" x 33FT Exhaust Wrap Ties Combo. 2" x 33FT Exhaust Wrap 4 Locking Ties. 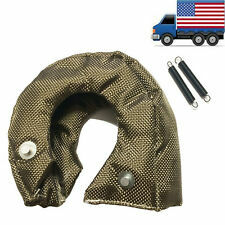 2" x 33FT Exhaust Wrap 4 Locking Ties Included. Turbo Shield Outer circumference: 19”. Plus, they're backed by a one year factory warranty! Our unique dual-volute turbine housing picks up low rpm exhaust pulses for improved turbine response, while the dual-action waste gate bleeds off turbine drive pressure from both volutes. This will result in lower EGTs, high horsepower capabilities, and a more efficient/powerful torque curve. Reduces turbo "bark" due to ported compressor housing design. FREE Trial ! 1190cfm flow rate. Part Information: Chrysler Dodge and Mopar Parts have redesigned the front steering linkage assembly with a significantly heavier duty set of components. All necessary hardware is included. New Mopar Revised Heavy Duty T-Style Linkage Assembly. Dodge 2015 69mm 6.7L Turbo Kit (Specify which Model). Qualified by Dorman’s strenuous testing procedures. Series : Dorman OE Solutions. Condition : New. Therefore all implied warranties that may apply to your part are limited to the duration of this written warranty. ATS Aurora turbos are backed with a 3 year / 150,000 mile warranty. Let the ATS Aurora product line increase the reliability, power and efficiency of your 1994-2012 Dodge Cummins! We can even build custom kits for specific race classes or applications! 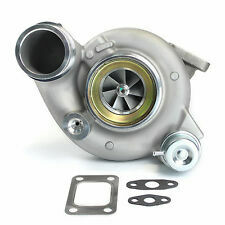 BD Diesel Killer B Turbo 2003-2007 Dodge 5.9L Cummins ON SALE NOW! The ductile High Sil-Moly cast iron, dual-volute turbine housing easily handles peak EGT's with no cracking. Designed for the 2003-2007 Dodge Cummins common-rail injected 5.9L engines, the Killer B Turbo is a Borg Warner/BD engineered match for engines developing power increases of up to 200hp while not increasing exhaust temperatures. Made From Pulverized Lava Rock(Basalt). Coming with 2 Fastening Hooks and Easy to Install. Products Must be in New and Salable Condition. and Puerto Rico. The BladeRunner intake manifold represents the next generation in intake manifold design. The BladeRunner intake manifold uses a unique MDV (Multiple Directional Vane) technology to guide the air through the manifold maximizing air flow. The S300G is aerodynamically designed to provide boost that can propel your Cummins 5.9 engine to 400 wheel horsepower. If you are looking for a budget friendly approach to bigger horsepower our new Boxer 58 is the answer. The Thunder 330 uses a. 80 A/R exhaust housing in which we modify the angle of the exhaust nozzle, maximize the wastegate ports, and enlarge the wastegate chamber for full wastegate travel. The Thunder 330 can support over 600hp and is the best all-round performance towing turbo on the market. 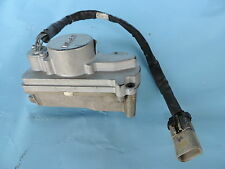 FOR SALE IS : TURBO ACTUATOR,WE PULLED FROM USED TRUCK NOT TESTED,NO WARRANTY, MAYBE NEED TO DO REBUILD. 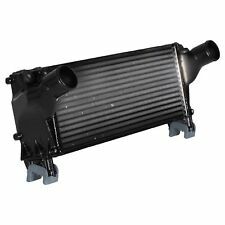 FITS:2013-2016 DODGE RAM 2500 3500 6.7L. may be a little dusty from storage use and have few minor scratches. 69mm Forged-Milled Compressor Wheel (700-750 WHP). H&S Motorsports is proud to introduce the SX-E Turbo Kit for the 2007 - 2012 6.7L Cummins diesel! Excessive drive pressure and exhaust gas temperature are common issues associated with the factory VGT. Replaces oe number : 55057092AA. "CSF Intercooler --. Condition : New. Therefore all implied warranties that may apply to your part are limited to the duration of this written warranty. Each warranty gives you specific rights, and you may have other rights which vary from state to state. Trending at $1,050.00eBay determines this price through a machine learned model of the product's sale prices within the last 90 days. Aurora 3000 Turbo Kit, 1998.5-2002 Dodge Cummins 24V. The 58mm inducer on the turbo is a very nimble and highly responsive unit. This will result in lower EGTs, better throttle response, and a more efficient/useable torque curve.